When I've worked events with a Gary Fong Lightsphere mounted over my flash, I've had people ask me if that was Tupperware on my camera. Well, over at ImprovePhotography.com, they tested real tupperware against the $50 modifier in the article titled, Gary Fong Lightsphere vs Tupperware. And the conclusion? 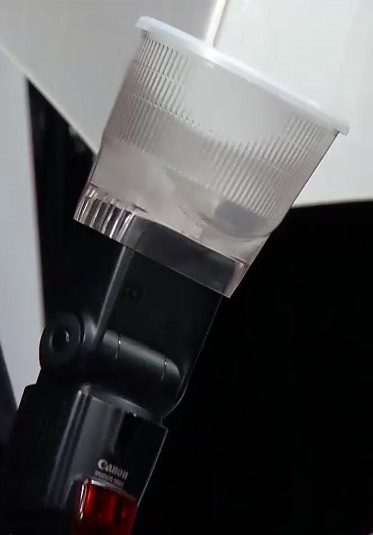 "After my testing, I found that there was absolutely no difference in my opinion in the quality of the light produced by the tupperware in comparison to the quality of light produced by the Lightsphere." If you go on to read the article comments, however, many readers say that the convenience of the Lightsphere compared to a DIY rig makes up for the price. I can see that. I mention the Lightsphere in the free movie "Understanding light modifier types and their use" in my lynda.com title, Off Camera Flash. I think it's a convenient modifier in fast-paced situations such as wedding receptions. I look odd enough with the Lightsphere. Imagine if I showed up in my suit and tie with a hunk of Tupperware attached to my camera. But I love the point that ImprovePhotography makes. It's a fun read if you have a moment. There's a good list of 16 photography apps for the iPad on photography talk.com. I like many of these selections. Serious shooters should consider the upgrade to Filterstorm Pro that has better organization features and Raw processing, compared to the basic app included on the list. 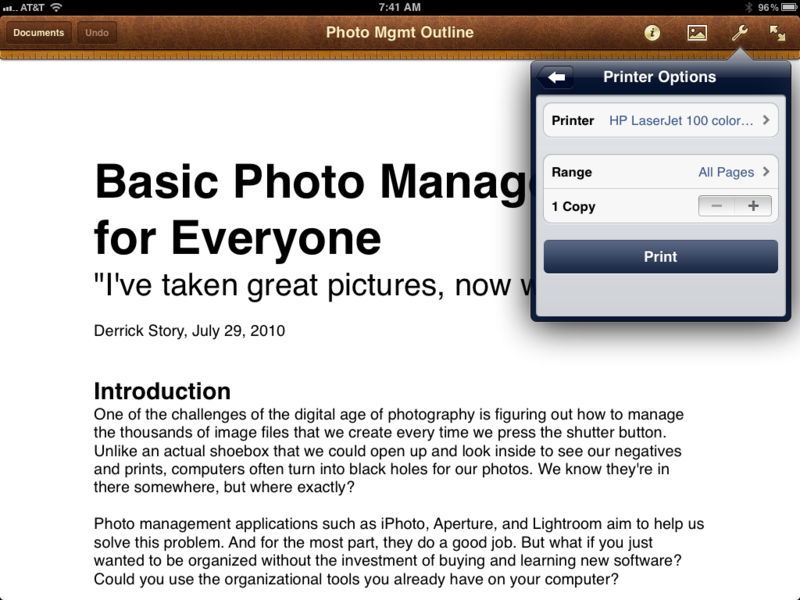 Another app on the list, PhotoSync is really useful for moving pictures between devices, even in the age of Photo Stream. One important omission, in my opinion, is Minimal Folio that is a terrific tool for organizing and displaying a portfolio of your best work. The bottom line is, there are many good applications for photographers available these days. Peruse this list and see if something sings to you. There are good deals... and then there's free. Over on the Lowepro Facebook fan page they are conducting a special Free Bag Friday where the winner will get to choose one item from the Lowepro Gift Guide. To participate, all you have to do is post a comment on the Gift Guide about which bag you prefer and why. You have until midnight PST, Sunday Nov. 27 to participate. As with all give-aways, void where prohibited. If you're feeling lucky, head over to the Lowepro Facebook fan page and join in the fun. PS: If you didn't already know, I work with Lowepro and love their products. 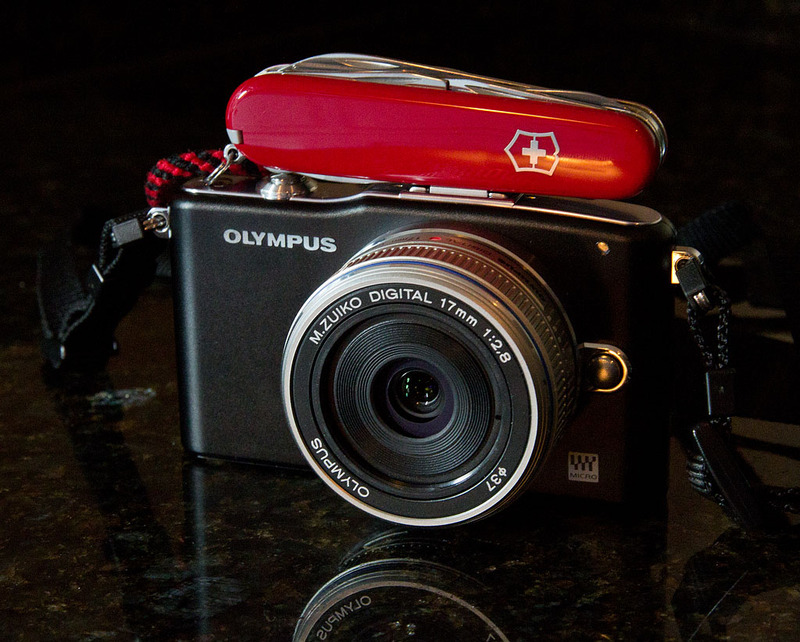 The new Olympus PEN E-PM1 is a camera that I've been toting for the last couple months with good results. DP Review has now put it through a full test. Their conclusion is similar to mine: you get the same image quality as with flagship E-P3, but for a lot less money and only a few less features. They gave the PEN Mini a Silver Award, which I also agree with. Related, my satisfaction with the PEN Mini has helped me fight off the urge to invest in the Fujifilm X10 that's now available in the States for $600. It looks like a great camera with positive initial reviews. But the PEN Mini has interchangeable lenses, interchangeable viewfinders, a much larger image sensor, and... it costs less -- $450 with kit lens (PEN Mini) vs $600 with fixed mount lens (Fuji X10). Ah, so many great cameras... so few credit cards. 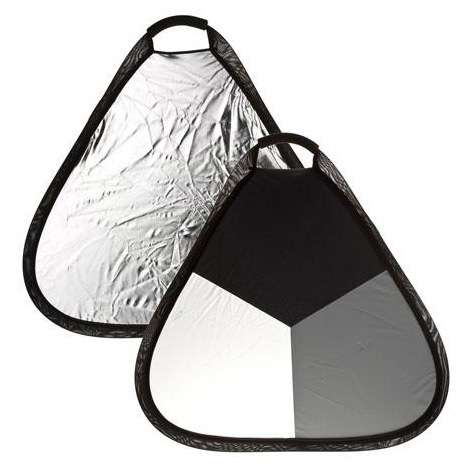 And the best part is, the Flashpoint 24" collapsible reflector is currently available for $19.95 from Adorama. Seems like a good accessory for your camera bag, or an excellent gift for that photographer friend of yours. It's that time of year when some families take a deep breath and decide to spend time together. If you're the photographer for these brave souls, then you'll probably find yourself in a portrait situation or two. My advice: be prepared to work fast. Family portrait with child. You're not going to have much time when little ones are involved. Photo by Derrick Story. Click on image for larger size. 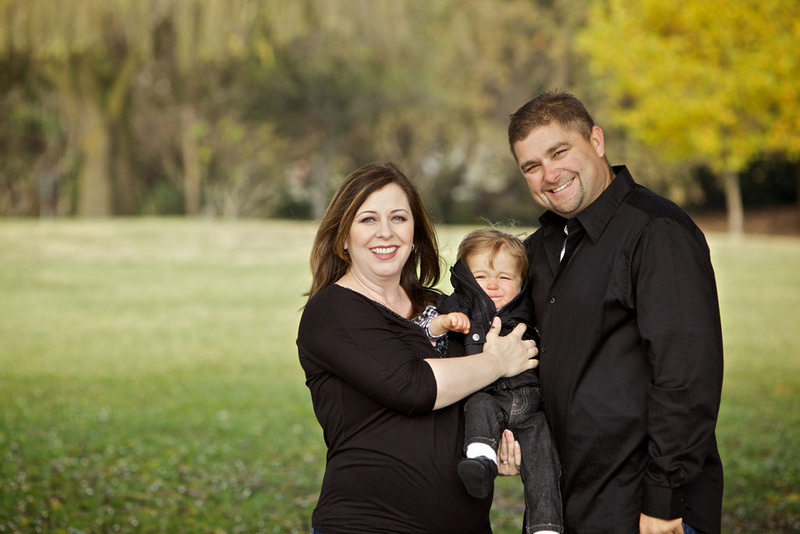 I usually have a fair amount of equipment on hand for family portraits. And I rarely get to use any of it. For this image, I had a tripod-mounted Canon 5D Mark II with my trusty 70-200mm f/2.8 zoom. We shot in the morning light while everyone was fresh and alert. I scouted three spots and used them all. When working quickly, look for areas with naturally diffused light. Keep your shutter speed high (1/250th or so) and your aperture fairly wide. Make sure everyone is in focus. The fast shutter speed helps with wiggly children. Shoot in burst mode. Have fun! Your cheerful attitude will help mom and dad stay relaxed. Remember, people don't like being in front of the camera in the first place, especially holding a sack full of cats. Work quickly and get your subjects on their way. And finally, trust that if you do all of this, you'll get the shot. What to get that favorite photographer in your life? In this week's podcast I have a dozen great ideas. The bulk of the gifts are less than $50, and most are below the $30 mark. So, let's get to it! And remember, these are nice treets for you too! The iPhone 4S has a built-in HDR option that works quite well. But, by using the following technique, you can maximize its potential, taking your camera phone images to a new level. Vineyard Sunset captured with an iPhone 4S and processed with HDR Pro in Photoshop CS5. Click on image for larger version. Photo by Derrick Story. Begin in the Settings dialog for the iPhone. Tap on the Photos icon. Scroll down to the HDR section and make sure that "Keep Normal Photo" is set to "On." 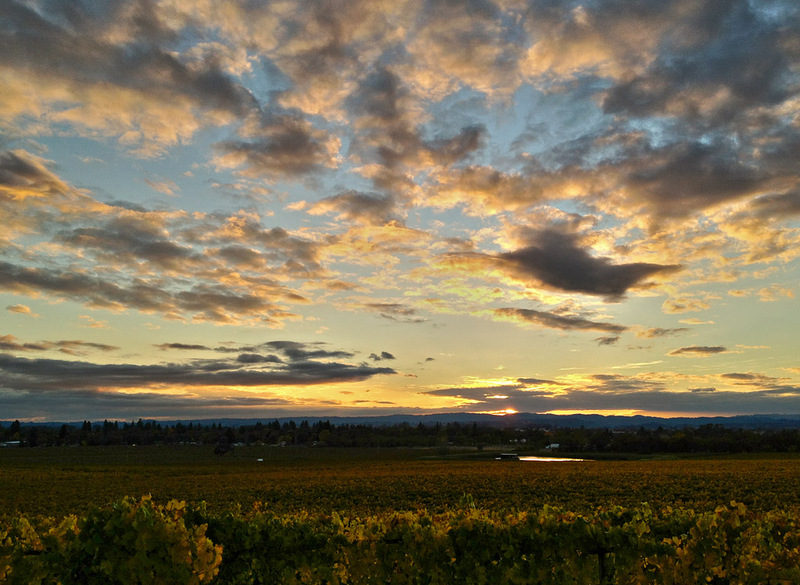 When you take an HDR image with your iPhone, you'll now get two images: the original non-HDR shot (normal photo), and the processed image. These two shots will build the foundation for the next step. 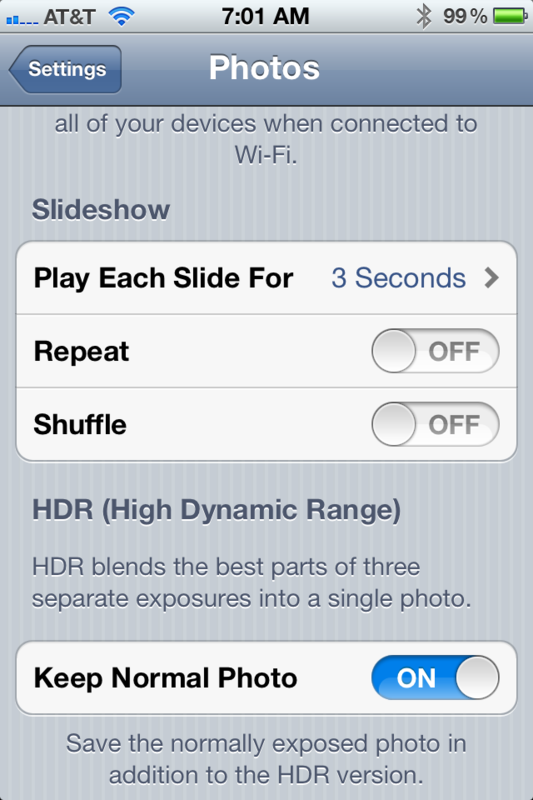 Now it's time to go take some great shots with HDR turned on for your iPhone. When you return home, you'll have two images for each picture. Open both of those shots in your favorite HDR program. I use HDR Pro in Photoshop CS5. 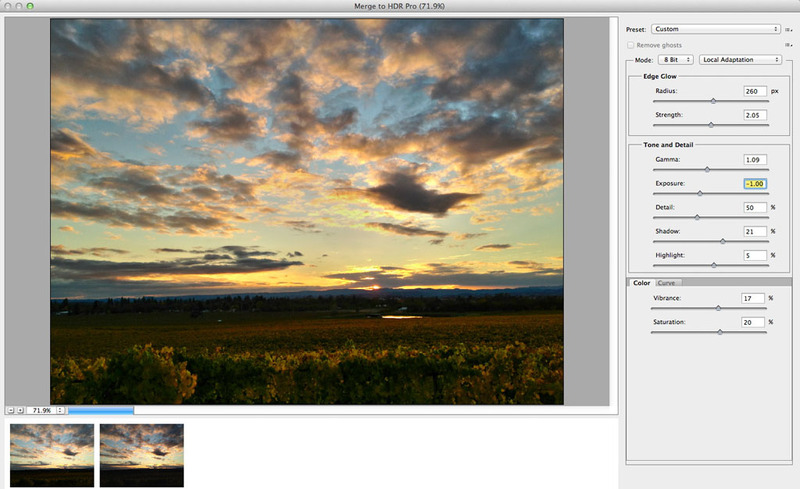 Take the two iPhone images and open in an HDR processing program, such as HDR Pro for Photoshop CS5. By having two shots with different dynamic ranges, you're able to get even more out of the composition than you could with the original HDR produced by the iPhone. Once you get the image the way you want, save it and share. People will be impressed that you captured such beautiful landscapes with your humble mobile phone. I don't always want to look the part of the photographer. Sometimes I'm just hanging out with friends, having a good time. That doesn't mean I don't want gear with me in case I spot a great shot. These are the days that I enjoy having the Lowepro Pro Messenger Bag 180 AW at my side. The fabric looks like classic canvas. I love the way it brushes against my arms as I'm working. In fact, it's actually high tech material that's weather resistant and retains its good looks over the long haul. The flap is clever. In "security mode" it stays closed via generous amounts of velcro. Nobody is going to get inside the Pro Messenger without you hearing about it. But when you're working, change over to "quiet mode" that provides access to all of your gear without a sound. You can see how the FlexFlap design works on the Lowepro features page. Inside, I can transport my 70-200 f/2.8 on body, plus a couple lenses, flash, and accessories. The pocket in the back has a zippered top and bottom. Open them both, and you have a trolly sleeve that slides over the handle of your rolling luggage. Close the bottom zipper and you can stow an iPad or collapsable reflectors there. If the weather turns foul, I can use the All Weather cover to protect the entire bag. It's stowed behind the front pocket for easy access. 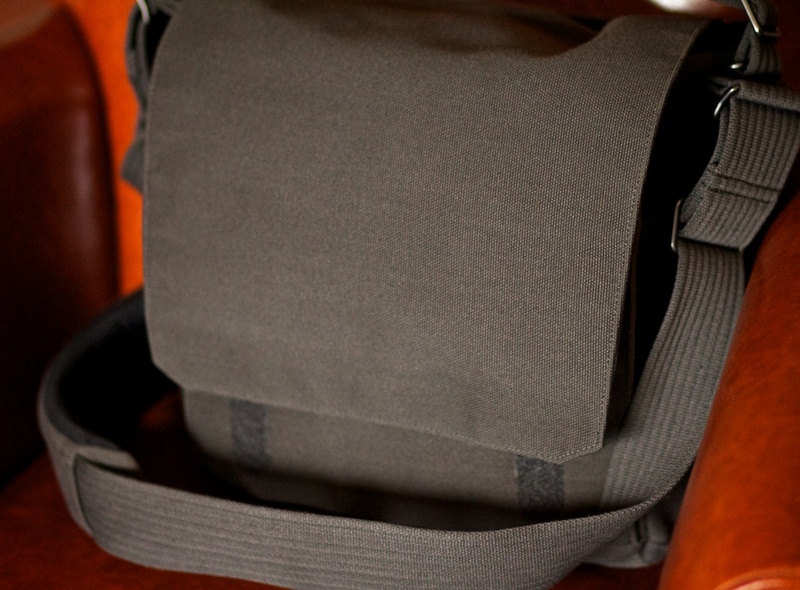 Other handy features include a long fabric strap with generous shoulder padding, stretch side pockets, repositionable dividers for a variety of configurations, a large front pocket big enough to hold additional gear including a spare camera body, business card window, and top carrying handle. Street price for the Lowepro Pro Messenger Bag 180 AW is $169. It's one of those rare items that performs as well as it looks.